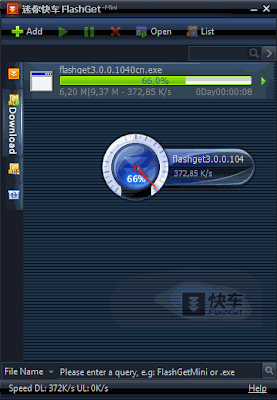 Flashget Mini - a "just for downloading" excellent download software. Ultra-fast, ultra-small features allow you to experience the fun easy to download. Add: supporting detailed information window displays the function of mission. Add: right through the menu to rename the name of mission functions. 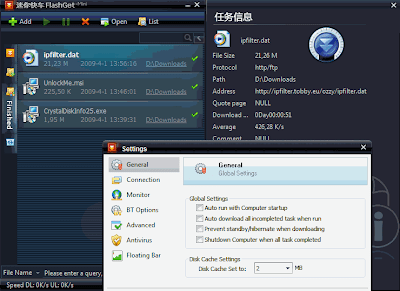 Add: duplicate download tasks, suggesting that "re-download" or "View" function of the operation. 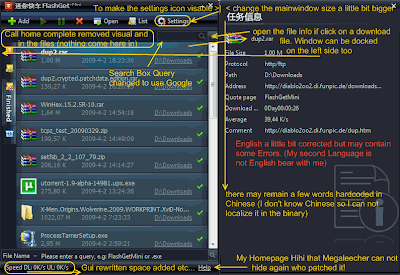 Fix: Repair under Vista can not drag files and link BT seed to the mini-window interface and suspended window download bug. Fix: Repair press the boss key after auxiliary window is not closed bug. Amend: modify the suspension onto the edge of the window and then restart the mini-train, then show the window when a suspension, suspended window sometimes invisible bug. Amend: change the amended resolution, the suspension may be disappearing window bug. English Language File a little bit fixed ( Spell Errors may remain ). run regsvr.bat to register the BHO Browser integration first! Please reinstall/update the Addon. The Crash Bug for Firefox 3.1 beta 3 is fixed now! 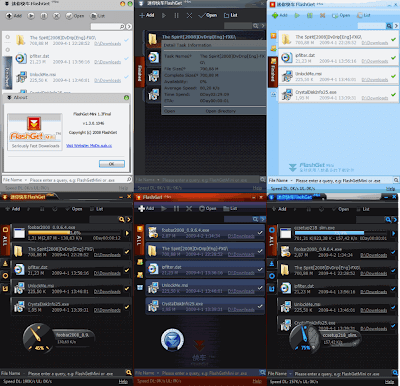 Alternative use drag'n drop to flashget window by dl links instead. 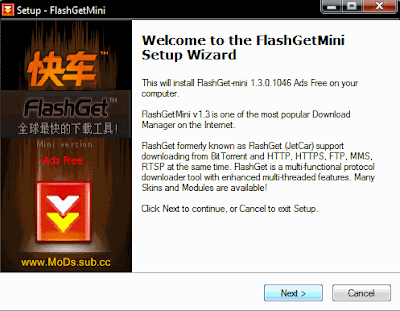 Todo: add a option to import and remove the IE context menu with get Flashgetmini exe path on disk. 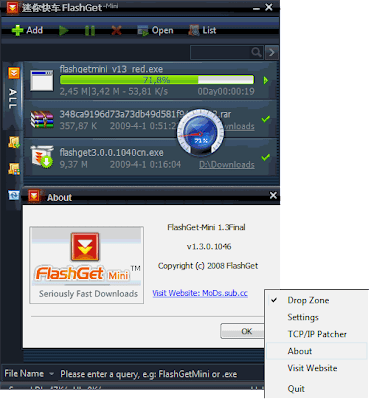 ADD     @="C:\\Program Files\\FlashGet Network\\FlashGet Mini\\GetUrl.htm"
ADD     @="C:\\Program Files\\FlashGet Network\\FlashGet Mini\\FlashGetFlvdetector.htm"
ADD     @="C:\\Program Files\\FlashGet Network\\FlashGet Mini\\GetAllUrl.htm"